Fujifilm UK supplies a wide range of award-winning solutions for the newspaper industry all designed to help improve production performance. Due to an unprecedented investment programme in plate R&D and manufacturing, Fujifilm is now able to offer the most complete, high quality, environmentally-friendly range of CTP plate products in the industry. Fujifilm UK’s Brillia range of CTP plates for the newspaper industry now comprises violet and thermal versions with both processed and chemistry-free derivatives available. This means there is a Fujifilm plate solution to suit the specific needs of any newspaper printer. Underpinned by a world-wide support infrastructure and plate manufacturing capability, Fujifilm has developed a platform to build on its position as the number one plate supplier in the market. It is not just through consumables where Fujifilm adds value. Fujifilm UK’s Elara software allows newspaper publishers to improve the quality and efficiency of image optimisation in busy newspaper publishing environments, and working together with leading suppliers, Krause and FFEI, Fujifilm UK offer plate setters designed specifically for the most demanding newspaper environments. Aktrion, now part of the multinational Atalian Servest group employing in excess of 125 000 people worldwide with annual turnover of 3 billion Euros, has been an innovator in the development and delivery of cost-effective support services to Newspaper and Commercial Printers since its establishment in 1993. A unique combination of business improvement skills, management expertise and a partnership approach means Aktrion deliver excellent performance faster and over sustained periods. Long term Customer relationships have resulted, and as Customer needs have changed, Aktrion has focussed on the continued development of skills, breadth and depth of capability to meet those challenges with its Customers. We have an extensive knowledge of the print production process and the associated maintenance requirements across a wide range of production equipment. Working flexibly to meet individual Customer requirements Aktrion deliver a range of solutions from single tasks or services to a fully managed integrated solution. All underpinned by externally validated Health, Safety, Environmental and Quality Management Systems. Change management activity is adopted to ensure higher productivity and a consistently high quality of service. Our people are key to delivering excellence and we provide training and development opportunities and appropriate career paths. We have extensive experience of managing people through the process of TUPE transfer without having any negative impact on the production environment. Prinovis UK is one of Europe’s best invested, financially secure publication gravure printing businesses and is now the last publication gravure printer in the UK, maintaining a competitive position in the European print market. Prinovis is Europe’s largest printing services provider; founded in 2005 as a merger of the gravure operations of Arvato (Bertelsmann), Axel Springer and Gruner + Jahr. Now Prinovis is part of the Bertelsmann Printing Group. In total it employs 2,300 people across our three production sites in Ahrensburg, Dresden and Nuremberg in Germany, corporate headquarters in Gütersloh, a Paris office and Prinovis UK in Liverpool where we employ almost 500 full time employees. As a gravure printer Prinovis UK produces a mix of supplements, contract magazines, flyers and catalogues for many of the UK’s leading retailers, as well as magazines and supplements for many of the UK’s leading publishers. These include The Times, The Daily Telegraph, Daily Mail, Argos, Ikea, Shop Direct, OK! Magazine and Hello Magazine. With the recent investment in its first web offset press, Prinovis UK’s production site is now evolving into a hybrid print plant providing customers an even wider range of print marketing services under one roof. Agfa believes that “To profit in today’s market, newspapers need five things: The ability to respond to the fast-moving marketplace, the means to simplify processes, new ways to add revenue, a formula for reducing costs while increasing quality and tools to reduce their environmental impact”. 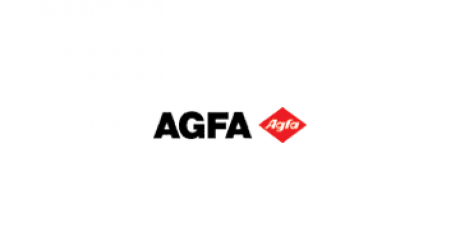 As Marc Op de Beeck, Senior Vice President, Agfa Graphics said recently “We’ve combined our experience in newspaper production with our understanding of the rapidly changing market to bring solutions to newspapers that will put them in a state of readiness for the future. Chem-free violet plates are a good example: they simplify the process – not just by automating but by eliminating development. Software too impacts what the customer can do, but it also streamlines the process, responding to the ongoing challenges of newspaper production.” Latest developments from Agfa Graphics include: - the next-generation :Advantage N XXT platesetter which targets high-end newspaper printers that need to match varying production peaks and or who are exploring new business opportunities. - Agfa’s :Arkitex software solutions which offer newspapers the means to achieve new levels of productivity and quality, while at the same time, reducing costs and eliminating waste. - the :N92-VCF chemistry-free violet plate, which combined with a dedicated Clean-Out Unit also helps newspapers reduce costs and increase productivity. The system can reach speeds of over 300 plates/hour, while Agfa’s chem-free setups require 20% less energy to run and take up 20% less floor space. “We are the industry’s leading provider of newspaper production solutions. 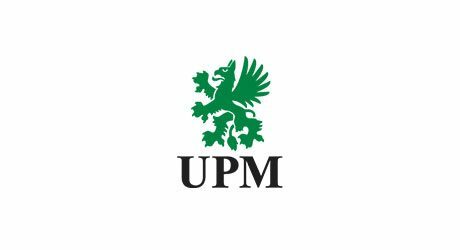 We achieved this position by staying on top of market trends, understanding customer pressures and finding solutions to address both”, added Op de Beeck. Set up in 1827, The Printing Charity is the UK’s second oldest occupational charity and the only dedicated charity for the printing, paper, publishing, packaging, and graphic arts sectors. The sector continues to change and innovate and so do we. Our work ranges from welfare and wellbeing support to championing the sector as a vibrant place to work with a great range of opportunities from apprenticeships and training to higher level qualifications. We help people of all ages throughout the UK experiencing financial hardship due to changes in their personal circumstances, such as ill health, redundancy or changes at work. Applicants for financial support need to have worked in the sector for at least three years, not necessarily consecutively or for the same employer, or they may be dependants of people who have. We help through one-off grants for essential items, regular financial assistance for those needing more support, and signposting to specialist services such as debt advice, housing, and counselling. It is not always easy for people to ask for help, but our Welfare & Welfare Team is a friendly voice at the end of the phone and all calls are confidential. We also work strategically with industry partners to attract and retain new talent in the sector and are passionate about the new generation having access to training that provides pathways into employment and career progression. Our annual Print Futures Awards, which have helped over 230 people since 2009, are grants of up to £1,500 to help UK residents aged 18 to 30 years pay for recognised UK courses to train for careers in the sector and develop their workplace skills. This year’s Awards close on 29 April. See www.theprintingcharity.org.uk/print-futures-awards for details. manroland Goss web systems is the world leader in the creation of innovative and highly productive newspaper, commercial web offset printing and digital finishing solutions together with new innovative packaging solutions. The manufacturer’s market-leading position has been emphasised recently with the introduction of Market – X e-commerce trading platform providing printing companies and suppliers an efficient online parts ordering and supply system. manroland Goss web systems can provide the complete newspaper package with its “Total Solution” initiative. This begins with overall factory design and includes a full range of products in planning, plant design and management. manroland Goss web systems provides its PECOM-X features and workflow management via MasterQ to integrate all of the sub-supplier systems involved in production from booking ads through to printing, finishing, mailroom and delivery. manroland Goss web systems is the world leading supplier of heatset web offset presses from 16pp to 96pp and every format in between. manroland Goss web systems has recently introduced the industrial digital folding solutions FoldLine and FormerLine for the production of format variable and pagination variable products. From books to newspapers to commercial applications manroland Goss web systems legendary folding performance is now available for 24/7 digital print production at the highest accuracy and output levels. 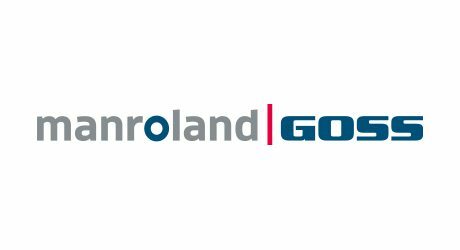 The service portfolio of manroland Goss web systems is the broadest available. It provides customised 24/7 service, maintenance packages plus integrated services and training measures as well as software products and workflow management systems. The company provides consultancy services covering all aspects of investment and building planning, organisation, management, systems engineering and process optimisation. manroland Goss web systems (UK) Ltd also provides the Schur Packaging range of equipment which completes the company’s involvement in virtually every stage of the production process. Products from Schur can be combined to provide a highly automated and highly efficient mailroom for newspaper and magazine publishers. The comprehensive range includes gripper conveyers, inserters, stackers, packaging lines, palletising, loading bay equipment, underwrappers, film wrappers and cross strapping machines. Schur Packaging has over 50 years of experience in providing the very best mailroom solutions throughout the world. To be successful you need equipment that performs reliably from a company that provides a complete service solution. manroland Goss web systems – your reliable high performance business partner. WRH Global UK is a subsidiary of Walter Reist Holdings and represents the Ferag, Denipro and Valecom group of companies. A company which has established and evolved through unique innovations in the print media sector and in more recent years has developed business initiatives to allow new revenue streams for advertisers, publishers and printers. Valecom provide unique front page advertising formats for print media, MemoStick and MemoScent are all active in the markets today. The complete advertising fulfillment process, from end user consultation to application on the printed product, is available. Ferag technology has established a worldwide reputation for its innovative Newspaper mailroom and commercial printing bindery machinery and systems. Striving forward with new innovations to allow the market to produce more efficiently with new diverse products. Denipro are world leaders in providing roller conveying technology to all aspects of industrial processes. Combining production, manufacturing and logistics demands, with innovative technology allows our customers to meet their process needs in the most energy efficient and cost effective way possible. 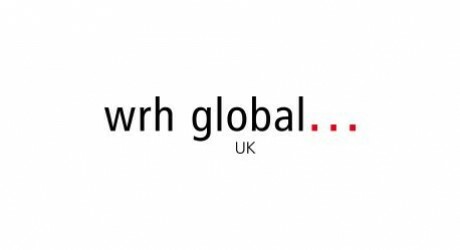 As an established trading organization WRH Global UK has selected a comprehensive range of trade partners. Key machinery suppliers and systems providers are represented to allow the graphic arts market to benefit from new technology, increasing and enhancing their product portfolio. WRH Global UK operates within the whole Graphic Arts market from newspapers, commercial printing, gravure, web, sheetfed, direct mail and packaging. In addition to our head office and innovation centre in Switzerland, we have 24 subsidiary companies world-wide, totaling 1200 employees. The UK office based in Harlow, Essex provides local sales, service and spare parts. WRH Global UK offers a customer consultant facility with dedicated representatives whom provide in-depth knowledge of how our products and services can help benefit your business. Sun Chemical has long been known for innovation, technical expertise, and for the quality and performance of its products. It offers enhanced value, service and support to its customers across all sectors of the printing market. In the newspaper industry, Sun Chemical specialises in the development, production and supply of state-of-the-art coldset web offset inks. In addition, Sun Chemical offers its customers a single-source supply of all their pressroom consumables, guaranteeing best-in-class products that have been selected for their excellent compatibility with the company’s inks and coatings. As the world’s foremost producer of inks, pigments and colour technology, Sun Chemical will lead the industry in developing and producing products which minimise its impact – and its customers’ impact – on the environment, and strive to maximise the use of renewable resources. With ink ranges such as Polar Advantage, a high performance newspaper ink and Shark, the ultimate waterless product, Sun Chemical is committed to print quality as well as productivity. The cost of ink can no longer be viewed in isolation; it must be seen as a part of the whole solution. Therefore Sun Chemical has been working with companies in the paper, plate, roller, press, inserting and pre-press supply chain to control the total print cost. Sun Chemical continues to extend the boundaries of ink technology and to improve the products supplied to the industry. It is recognised as the “Ink Supplier of Choice”, the company that sets the standards, the company that others are judged by, a benchmark for the industry. With over 30 years experience in commercial print, with an established reputation for producing high quality magazines and catalogues precision colour printing is at the forefront of the printing world. 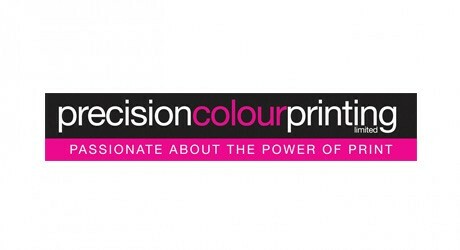 Not only this, but precision colour printing has gone on to win the award for Print Week’s Consumer Magazine and Catalogue Printer of the year on three occasions. Putting our customers at the centre of their business Working closely with their customers to gain a full understanding of their needs, they pride themselves on a true partnership approach with effective communication. With a dedicated Customer Service Representative managing each account, their customers can rely on a reliable and responsive service. What PCP do Specialising in Magazines, Company Brochures, Catalogues and Mailers, print is their business, their livelihood and at the very heart of all that they do. They foster a culture where employees take pride in their work and with a policy of providing their staff with continual training of the highest standard they have the latest skills at their disposal. It is an approach that continues to attract the very best print professionals. Working within the community As well as attracting and recruiting experienced staff from within the industry, Precision Colour Printing recognises the need for recruiting and training from the ground level, creating employment opportunities and training for people in the local area. Precision Colour Printing has recruited a number of apprentices in conjunction with the British Printing Industries Federation. By working alongside local colleges they plan to offer sustainable employment in the Press Room, Bindery and Engineering departments. Investment Since 2000, they have also invested over £20m in new equipment, including a Xerox C1000 colour digital press from Fuji. Their Komori web press was installed in September 2013. The 50K cph press comprises of 2x16p or 1x32p duplex will add a further 45% capacity for business growth to handle an increased volume of contractual work and to strengthen their relationships with long standing and new customers to provide the highest levels of service and quality levels to be proud of. Quality Investment in the latest equipment would mean little if their finished product did not meet client expectations – this is why they employ a rigorous checking process throughout all of their print runs – achieving the ISO9001 Quality Control accreditation. They’ll confirm that they are committed to every project, treat each piece of work as if it were their own, always respond to requests quickly, can be relied upon for speedy turnaround, apply the utmost care and attention to their work and are cost effective. Caring about the environment With a serious commitment to the environment, they continue to reduce their carbon footprint by the usage of recycled paper and paper from sustainable forests, the recycling of waste products, complying with recently introduced solvent emissions and by constantly reviewing their energy efficiency. Through these measures they have achieved both ISO14001 Environmental accreditation and are fully FSC and PEFC certified. Flint Group offers newspaper printers the ease of mind that comes with working with a dedicated industry leader. 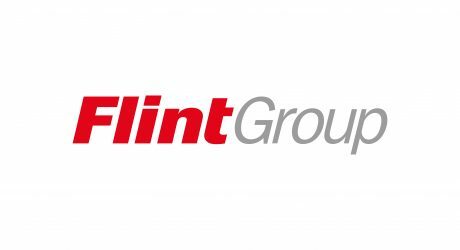 With a 250-year heritage and forward-thinking strategies, Flint Group remains fully committed to the news industry and looks forward to continuing to help publishers and printers inform readers across the region. Newspaper printers choose Flint Group’s conventional, and eco-friendly news inks for many reasons, including: Reliability of products, support and security of supply; Continuous Improvement that drives the company’s efforts to continually increase customers’ ease of doing business, improve safety, process innovation and efficiency, and reduce product complexity, waste and costs; and Trusted, committed leadership backed by an expert team of employees who are undaunted by technical challenges and collaborate with customers to help them manage their total cost to print. Flint Group’s vision is clear: to be the leading printing ink supplier to heatset, coldset and sheetfed segments, offering the best quality and reliable service at the lowest possible cost, creating a sustainable future for the company and its customers. While coldset ink has been a staple of Flint Group since their early beginnings, the company offers many other products as well, including: a vast range of conventional and energy curable inks and coatings for most offset, flexographic and gravure applications; pressroom chemicals, printing blankets and sleeves for offset printing; photopolymer printing plates and sleeves, plate-making equipment and flexographic sleeve systems; pigments and additives for use in inks and other colorant applications. With a strong customer focus, unmatched service and support, and superior products, Flint Group strives to provide exceptional value, consistent quality and continuous innovation to customers around the world. Newsprinters delivers tailored print, logistic solutions to the UK publishing industry. In a challenging market, we believe working with other publishers ensures that greater efficiencies are achieved in getting publications to market and unnecessary costs are removed from the supply chain. Newsprinters, offer three-world class print facilities located at Broxbourne, Knowsley and Eurocentral. Newsprinters strive to be the best newspaper printer in the world. Every day we ensure that many of the UK’s best-selling national newspapers reach their audience including The Telegraph, Metro and London Evening Standard. We also print a significant number of regional and local newspaper titles for major publishing groups. Our commitment to progression and improvement is unyielding, as demonstrated by our numerous awards. In addition to our Newsprinter of the Year awards, we are ISO 9001 and BS 18001 accredited, and the only organisation in the news industry worldwide to be awarded the prestigious Shingo Prize for operational and manufacturing excellence. Papermule are the UK’s leading Digital Asset Management provider specialising in the printing and publishing industry. Papermule have played a leading role in streamlining the digital production processes at many of the country’s leading publishers. With over a century of combined experience Papermule understands where the industry has been and where it needs to go. Recently Papermule have been at the heart of a venture that promises to revolutionise the the supply chain for digital advertising. The Publishers Advertising Data Network (PADN) is connecting major publishers directly with ad agencies and will facilitate the targeted sharing of production data via ad delivery vendors such as Qmuli, Adsend and Specle. Papermule will continue to lead the way in providing bespoke production services that make a real difference in day-to-day operations. From printer to publisher - Papermule has a solution. Drag+drop Ltd. have been partnering the Newspaper and Magazine industry in the UK since 1999 and in that time have offered many great products, however, we have become well known and extremely well respected for our online Property and Automotive advertising solutions, building up relationships with many of the UK’s major media groups as well as many independent newspaper and magazine publishers. We also have a partnership with a US based company and distributors and clients in Ireland, Canada, Australia and South Africa. One of our core strengths as publishing experts is that we understand future trends in our industry and react ahead of the pack. Consequently, the last few years have seen us investing significant resource into Social and Mobile solutions, these include iPhone, iPad and Android applications – aimed at all regional publications not only for Properties and Automotive, but now include complete newspaper mobile applications with many features, for example:- weather, traffic, all editorial content and of course, many advertising links throughout the content. On a completely different path, our latest ventures in the UK include outsourcing opportunities for property ad production. For this we have drawn on our expertise gained in our US operation Outsourcing is a way of life for our customers there, in fact, over the past 5 years it has become part of the overall service on offer to our US clients. Nearer to home, we have been servicing large estate agent groups in the UK for at least 4 years with the same service. We feel that, with the shift to outsourcing within our industry, it will become a larger part of Drag+drop’s future business in the UK.Looking further ahead, automated augmented reality for all sections of newspapers is also at the top of our development list – the word “automated” is the key here. We are convinced that it will play a large part in the future of publishing and intend to be the forerunners in the introduction of this technology. Within an industry that changes its colours more often than a chameleon, staying ahead of the game is important. At PCS we feel that working with the right technology provider can give you this advantage. From enabling efficiencies to facilitating collaboration, increasing productivity to creating a remote working environment - PCS is with you every step of the way. Whether you are looking for solutions within editorial, advertising, production or circulation, we have developed tools that work independently or as part of a fully managed editorial workflow. We have an impressive in-house development team who are ready and waiting to tailor solutions to your specific needs or discuss ongoing product roadmaps. When it comes to your content, it is paramount to us that this works as hard as it can for you, which can be a challenge for publishers. You will have no doubt invested money in web content management systems, which we can interface with to allow digital/print/content first workflows that are designed for the demands of breaking news and current audiences. Whether you go down the route of paywalls or subscription models, publishing platforms or free content - the key to all of this is getting that content where you want it as quickly, efficiently and as professionally as possible. Remember, it’s your business we are interested in. We are not just producing out of the box solutions that you have to bend and adjust to suit how you need them on a day to day basis. We hope our 45 years of publishing industry experience and expertise gives a good starting point when developing, but it is you and your business that takes it to a different level. To those who have been nominated due to having highly effective and commendable news websites, good luck. To all awards entries in all categories, if we aren’t working with you already, we hope to in the future - the team at www.pcs-publishing.com. Reach Printing Services Limited (RPS) is the manufacturing arm of Reach plc, formerly known as Trinity Mirror plc. With six print sites, conveniently located throughout the UK, RPS offers print solutions for internal and external clients with the expertise and facilities to provide a range of formats and finishing options. Representing a large part of all our print activity, our external contract portfolio includes: independent publishers, brands, retailers, agencies, councils, universities, print buyers - just about anyone who requires print! Alongside our print options, we offer a range of distribution services via our internal and external providers including newsstand sales or free pick-up for independent publishers and insert advertising to door-to-door distribution for a regional or national marketing campaign. Having invested heavily in all our print sites, RPS can offer a competitive, reliable and comprehensive print and distribution solution.